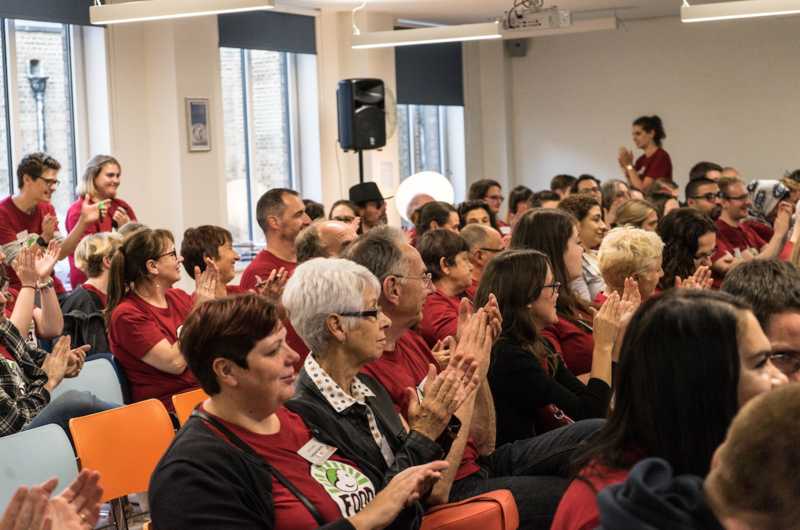 Every year we invite our Project Leaders to our Annual Conference, where we share ideas, develop new skills and get a chance to celebrate all the amazing things they achieve as volunteers. Joana Costa is one of these volunteer leaders, who has been volunteering with FoodCycle Birmingham Aston for a few months. We asked her to tell us more about her experience at the conference and what inspires her to give her time to us! Why did you decide to attend the conference? I only started volunteering with FoodCycle two months ago, and quickly became a Project Leader because I love it so much. The conference seemed like the perfect way to really get stuck in with the charity, and learn a lot more about it, especially what their plans are for the future since I plan to be involved in them myself. What new things did you learn at the conference? So many things! Every single workshop was an opportunity to learn. I had only ever seen the project at Aston so was under the impression that all the projects would be very similar to it. I could not have been more wrong! Every project is very different and the biggest lessons I took away from the conference were how to build relationships with different kinds of food suppliers and the different events other projects have organised in the past to fundraise and involve the people in the community. What is your favourite memory from the weekend? The people. Every single person had so much knowledge, so many different insights and perspectives to share. This especially applies to the panel discussion, where some guests and professionals shared their experiences. It was very insightful seeing how what we do directly affects others and how it comes across to the community. 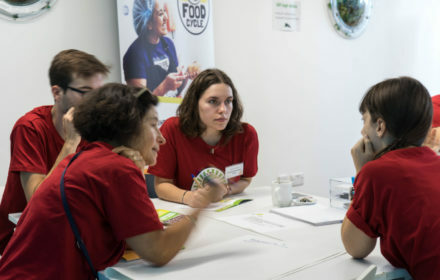 The conference is also about connecting and meeting other FoodCyclers. Who did you connect with last time and what was the result? I’m a student, so when I’m not at university in Birmingham, I’m back home in Norfolk. I connected with some volunteer leaders from nearby projects and I’m really looking forward to going to those projects over the upcoming Christmas holidays, and once I graduate next year. Having the chance to meet some of the staff from FoodCycle HQ and some of the trustees, was also one of the highlights from the conference. It made the charity feel more like a family and reinforced the fact we’re all in this fight together, which made me want to be a part of it even more. What are you most excited to go away and do after the conference? I’m super excited about learning more about food poverty and engaging more students in the projects. We’re very lucky to have 5 universities in Birmingham, with a lot of students looking for volunteering opportunities to gain new skills and to do something positive for the local communities. What makes you tick! Why do you give your time to FoodCycle? Food. I love cooking, I love feeding people. I come from a background where eating is a social activity, we always eat as a family, we always eat with friends, it’s just what you do. 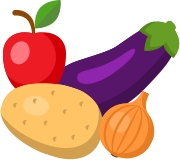 So I give my time to FoodCycle to ensure that at least once a week, I know 50 people will be having a wholesome meal in their community, where they also get to meet new people and socialise. Food waste is something I’m very passionate about. There are so many people in the community that are going hungry because they can’t afford to buy food, whilst at the same time, tonnes of food is ending up in landfills because supermarkets can’t sell it. I think the solution here really is a no-brainer, and I’m glad I’m volunteering with FoodCycle to change this. Inspired to get involved as a volunteer or Project Leader? Click here to find out more and sign up.